The idea of engaging a third sense in the televisual world is a not a new one, but one which as never been done with any great degree of authority. My last memory of this type of integration harks back to 2003 when the Rugrats Go Wild Movie was released on the big screen, complete with scratch and sniff cards (called Odorama cards) that had to be used during the film. At various moments in the animated movie you were given visual cues (such as the number one) and then would scratch the corresponding number on your sheet and anything from strawberry lollipops or smelly socks would be inhaled. The idea is that adding smell to a movie will give you a richer all round experience, but I’ve yet to see anything that could cope with today’s demands. 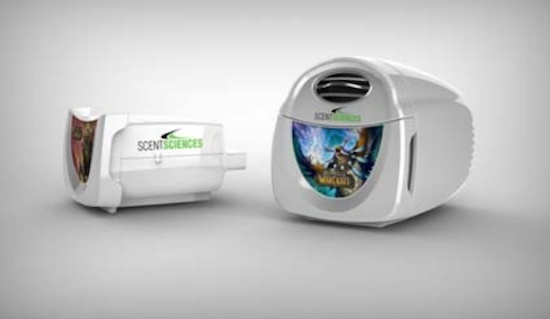 ScentSciences has just unveiled a toaster clone of a machine (though it’s actually only 3.5 inches high) that promises to add customized scents to various movies. 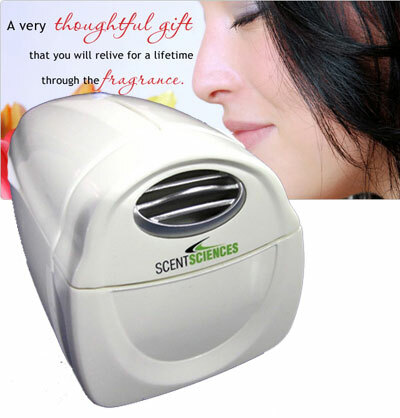 You upload a cartridge to it ( a cartridge can hold 20 smells) and each particular smell on the cartridge can be tailored to your requirements. OK, it won’t be that great if you want Avatar to smell all strange and other worldy, but it will let you add an extra personal touch to those home movies- think the smell of the Ibiza beaches, pina colada cocktails, your favourite burger bar.. you get the idea.. You even get a ‘volume controller’ to adjust how pungent the smells are! There’s whisperings that they want to integrate this with gaming– think blood and gore with Call of Duty, or woodland smells in WoW. Do we need this? Do we want this? You can’t help but applaud the fact that people are still trying to push scent into film, but I’m not convinced the ScentScape will be the breakthrough product for this tricky market. The ScentScape costs $69, with the editing software $19.